Protecting Your Assets | Denver Bankruptcy Attorney - Jon B. Clarke, P.C. Denver bankruptcy lawyer Jon B. Clarke has more than 35 years of experience helping his clients protect their assets through bankruptcy filings. It is a myth that debtors will lose all of their assets in a bankruptcy filing. In fact, in many cases, a debtor can keep most, if not all, of their most valuable assets — including their home and car — with proper planning. If you are in need of debt relief, contact the Law Office of Jon B. Clarke to talk with an experienced bankruptcy attorney about your options for protecting assets before and after filing bankruptcy. Protecting assets starts with proper planning before the bankruptcy filing. If you do it right, you can keep more of your assets and pay less to creditors. However, if you do it incorrectly, you can lose your ability to discharge debts altogether. 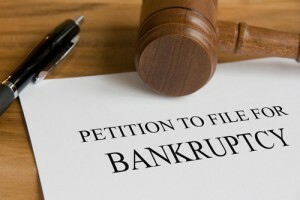 Denver bankruptcy lawyer Jon B. Clarke has more than 35 years of experience in bankruptcy law. He understands how to use the bankruptcy laws to a client’s advantage in order to clear certain assets to protect them from creditors. When you talk with attorney Clarke, he will sit down with you and thoroughly analyze your financial situation. From there, he helps determine the next steps you can take to put yourself in a favorable position before filing for Chapter 7 or Chapter 11 bankruptcy. You may be able to sell certain property or possessions pre-filing in order to put the proceeds into protected assets, but care must be taken not to overdo it. Mr. Clarke will advise on the best options for you. By the time you do file for bankruptcy, you will have taken the right steps to protect as many of your assets from liquidation as possible. Attorney Clarke welcomes inquiries from clients filing for Chapter 7 or Chapter 11 bankruptcy. To help us get started with your debt relief case, please complete our Business or Consumer Debtor Analysis form.